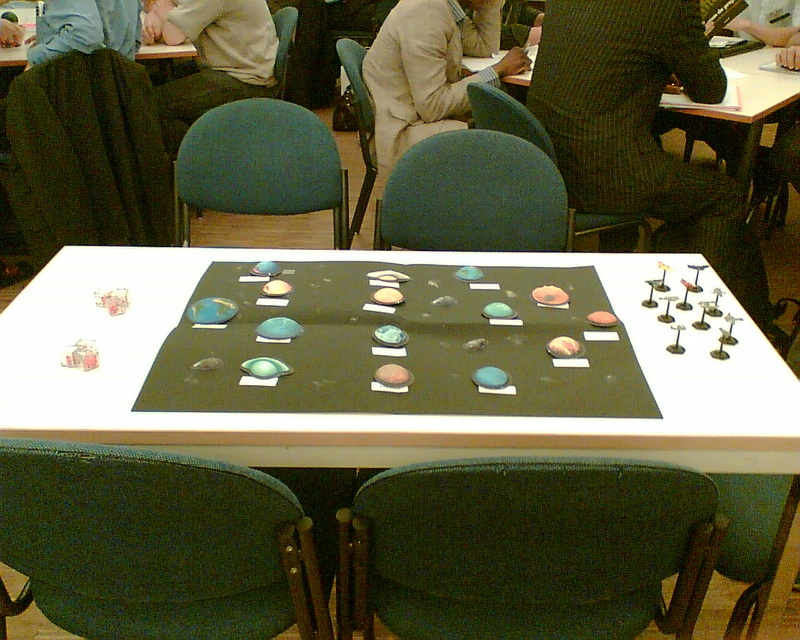 The Agile North mini-conference on April 26th featured the Real Options presentation and “Space Game” by Portia and me. Pictures and slides are now online. The handout for the Real Options session is not yet online, but you can download it from our site. The call for sessions for this year’s XP Days Benelux is out. We don’t just talk agile, we DO agile. The session proposal process is collaborative and iterative: when you submit a proposal, you get feedback from the program committee and fellow session organisers. You can use the feedback to improve your session and your proposal. In return, we expect you to provide feedback to the other sessions organizers. Collaboration makes us all better. So, if you want to talk about agile at XP Days Benelux don’t submit your session proposal 5 minutes before the deadline. 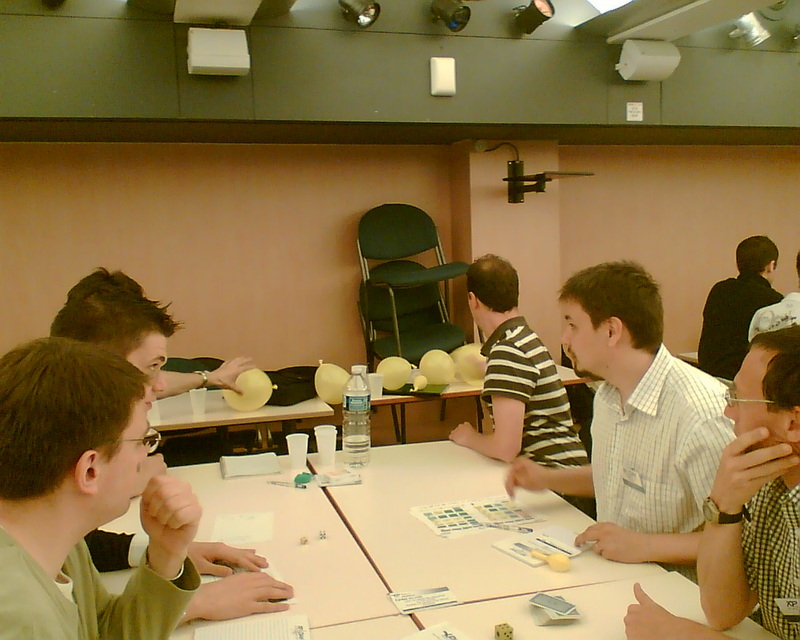 The last session of the day was our first run of the Real Options Space Game in French. The little skit Portia and I did at the day’s opening must have worked because a lot of people came to the session. 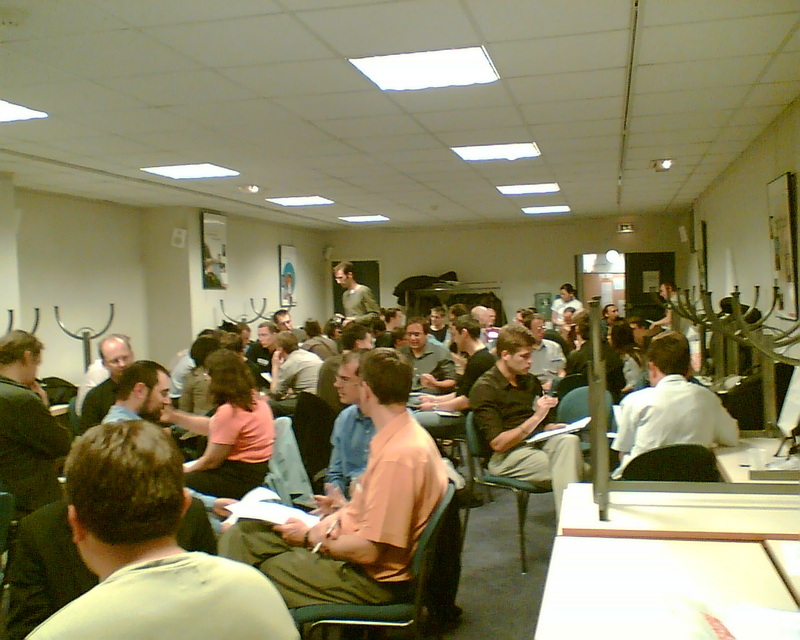 This time we had a larger room than the previous session, but still not enough room to seat everybody comfortably. At the previous session at Agile North, we had 28 participants. This time we had about double that number. We started off with a brief presentation on Real Options. We then explained the rules to the participants, grouped in about 7 teams. 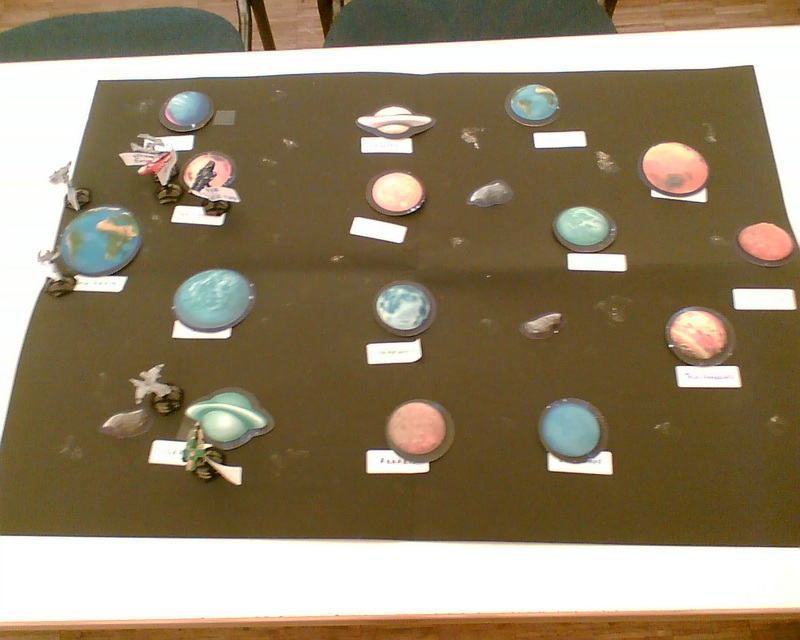 Participants first had to plan their route across the game galaxy, using very limited funds. Then, in several rounds, they made their moves from planet to planet. To keep the game manageable, one representative of each team came to sit at the game table. This way, we didn’t have to deal with the whole audience, but only one participant per group. Unfortunately, keeping this large an audience to the game timeboxes proved to be too difficult. Switching between game and reflection was also very difficult. You try to quieten 50-60 players engrossed in the game, trying to win. After the Agile North session, Portia and I held a retrospective and improved the game. With the changes, we were confident that we could host the game for +/- 30 people. Unfortunately, the changes were not enough to comfortably deal with double that number. Waiting for my train home, drinking a beer at the Gare du Nord I thought of some ways to deal with this large a group. Too late. L’esprit de l’escalier is alive and well. We will write up the session and publish the game materials, like for the XP Game, so that you can play this game at home and at work. Despite the noisy and crowded session, the participants did get the message of the session. The groups did a short retrospective at the end, with generally favourable feedback and some ideas for improvement. The conference closed. The turnout was a success: participants got good value for their money, lots of contacts were made. Dealing with unexpectedly large numbers of participants proved difficult. The organizers of XP Days France and Benelux will collaborate on ideas to scale sessions. Portia and I bought a round of drinks and had a bit of time to chat with some participants. My Swiss friends had a bit of interesting news that you’ll hear more about. All too soon we had to leave to catch our trains back to London and Brussels. 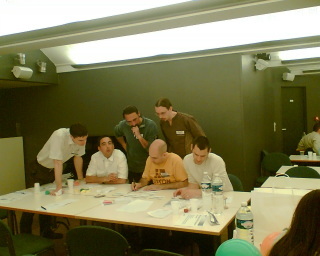 XP Days Paris, je t’aime! I had a great time and hope to be back next year. Hope to see you there! 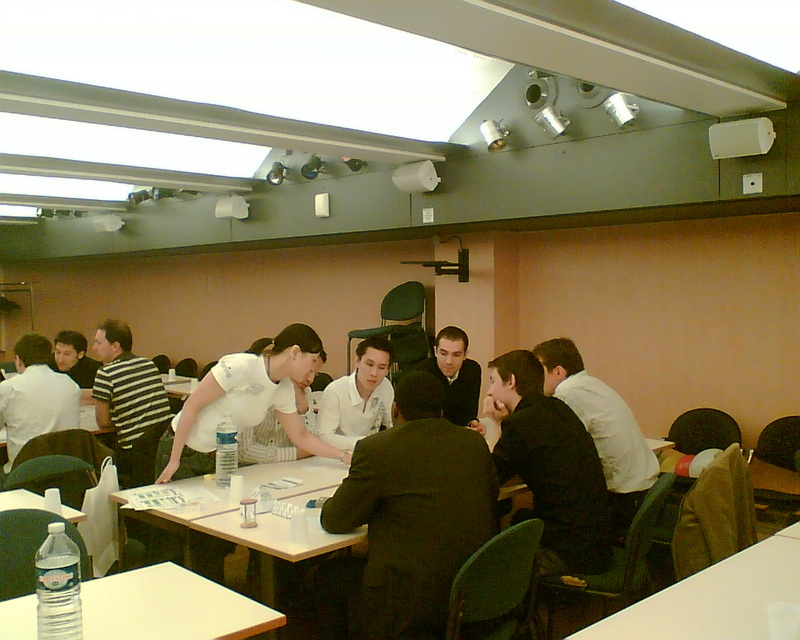 Portia, Bernard and I ran the “Neuf cases pour bien comprendre son client“. In this session we use the “9 boxes” interview model from Solution Selling to gather the information to write User Stories. 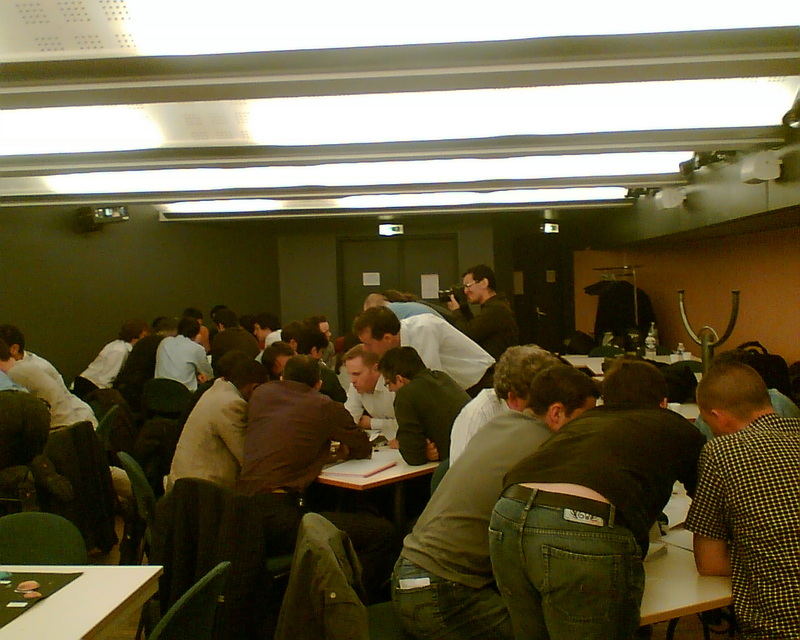 As you can see from the pictures, there were a lot of participants at the session. It seems that the Belgian chocolates convinced people to come. Some people played the game outside, in the hall. 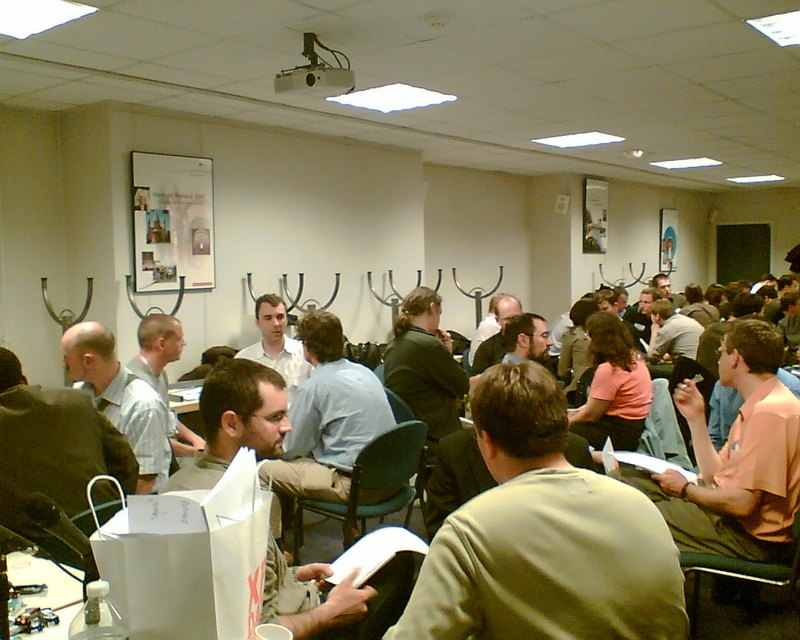 Despite the heat and noise, everybody was really concentrated on the session, on interviewing their “customer”. 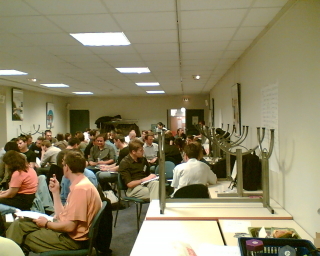 When we saw how many people turned up, we moved the tables to the sides and let the participants sit in groups of 3 (customer-client-observer/referee). It would have been even better to move all the tables outside of the room, to have a bit more space and air. Really getting to the problem at the heart of a project or co-creating a vision of the future is not easy. Doing it well, selling well, sets up a project for success. Doing it badly sets up the project for failure. If we didn’t understand wat the real problem was, or we forgot some impacted people we might deliver what’s asked, but not what’s needed. The most dangerous step is the co-creating of the future vision. It’s easy to get carried away and promise the customer something that can’t be delivered. That’s the way bad salespeople get bonuses and set up the implementation team for failure. It’s easy to remedy this problem: pay sales bonuses for succesfully delivered projects. It is important to explore the “ideal” future with the customer. Don’t hold back too much, don’t think too quickly “that can’t work”. That’s an “idea killer“. In the “envisioning the future” column we should explore scary, innovative ideas. Let the customer (and yourself) be creative! 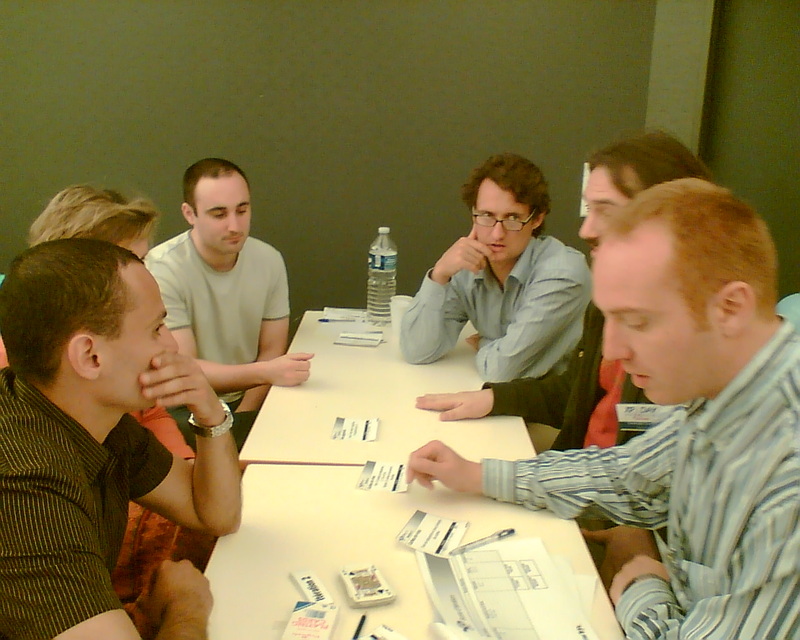 Portia and I will run this session again at Agile 2008 in August, on the “Chansons Françaises” stage. See you there! I’ll write more about the “9 boxes” after we’ve done the session retrospective. After the session we quickly cleared away our stuff to go for drinks. Unfortunately, there wasn’t enough time to meet and talk to many people before dinner. I did meet some interesting new people, met a fellow jazz fan, met an agilist from Wallonia (we don’t get many at Belgian XP meetings and conferences) and had some brief chats with acquaintances from previous conferences. At the dinner table, most of the people knew each other, having worked together at several companies previously. We got some history behind the “minitel” system. After dinner, a walk in the area to get some fresh air and relax, because tomorrow there’s another session: the first time we do “Real Options” in French. More about that later. 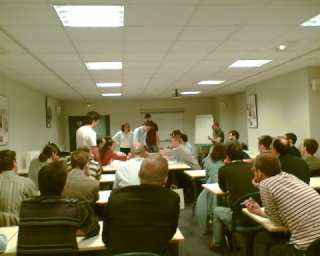 First session of the day at XP Days France 2008: “Le système Lean“. 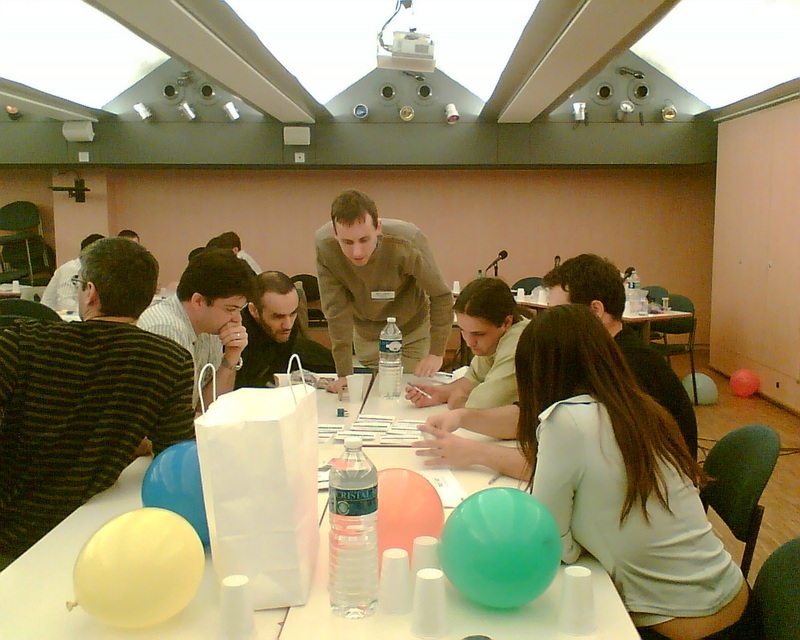 Participants played in a simulation of a production line (similar to the one we use for the “I’m not a bottleneck! I’m a free man!” session) and gradually improved their results by by using Lean methods like Takt, pull, seeing waste, building quality in and learning. 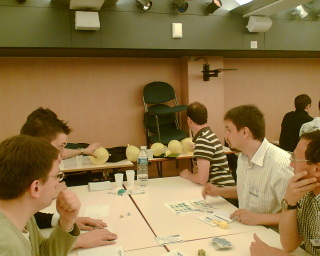 I liked the way the game featured financial metrics to measure the cost and value of the “company”. Metrics and the learning could be useful additions to the Bottleneck simulation. Maybe we can add them for the Theory of Constraints session at the “Université du SI” in July in Paris. Visibility for the non-participants wasn’t very good, due to the layout of the room. 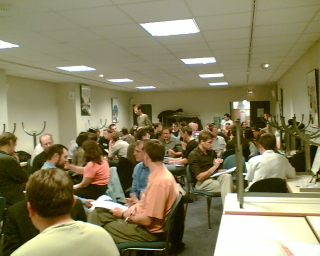 The audience of XP Days France has grown. Unfortunately, as you will see later, the rooms haven’t grown along. Meanwhile, Oli Lafontan ran the XP Game with 6 teams. That’s a bit much for one coach, so in the break Portia and I offered to help Oli coach. This was a good opportunity for me to see Oli at work and see the changes that he introduced to the XP Game. As usual at an XP Game, fun was had by all and everybody experience how an XP team collaborates, plans, estimates and reflects. See for yourself in the pictures.